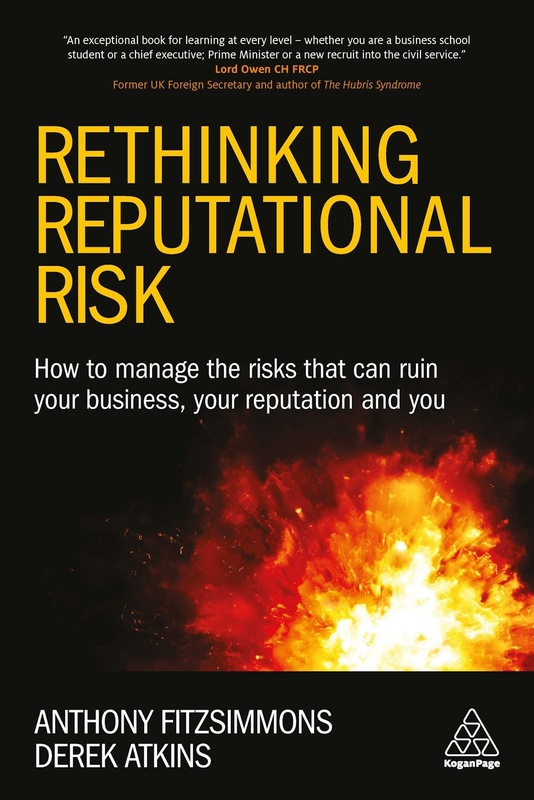 Stefan Stern has reviewed 'Rethinking Reputational Risk' for the Financial Times. "Th[is] book offers a thorough analysis of the many ways in which apparently unexpected crises can destroy businesses and reputations. Boards, chief executives and their managers may believe they have a firm grip on the risks they face. They should think again." "The book contains a series of detailed case studies of some of the best-known corporate crises of recent years .... The authors draw more than 30 lessons from their schadenfreude-free research." "Businesses and executives are therefore vulnerable on a number of levels. They would do well to reflect on the serious messages contained in this well-argued book." You can read more about 'Rethinking Reputational Risk' here. You can buy copies from the publishers here.